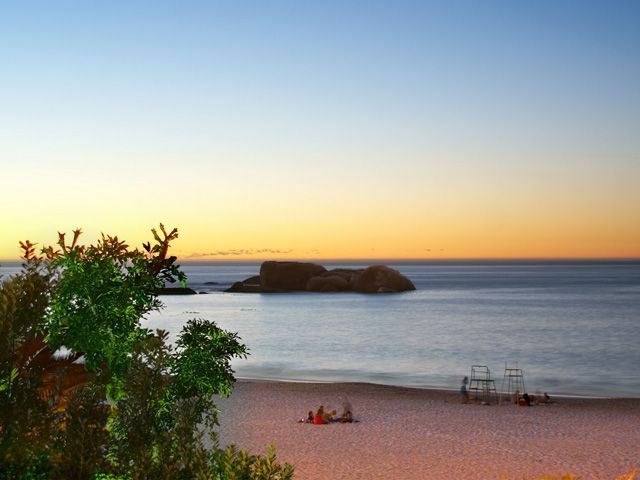 Tucked away between the main coastal road to Cape Town and the ocean, this tranquil beach cottage is barely three steps away from the soft golden sand of Cliftons 4th Beach. Relax to the soothing sound of the surf and seagulls while a cool sea breeze stirs the warm ethers and carries the salty tang of the Indian Ocean into the open-plan lounge of this quaint three-bedroom cottage. The bedrooms are down a short flight of stairs; first main bedroom has cool white dcor, a double bed and loads of built-in cupboard space. Opposite this room is a bathroom with a glass cubicle shower, basin and toilet. The second bedroom boasts a warm cream colour scheme and lots of built-in cupboards. 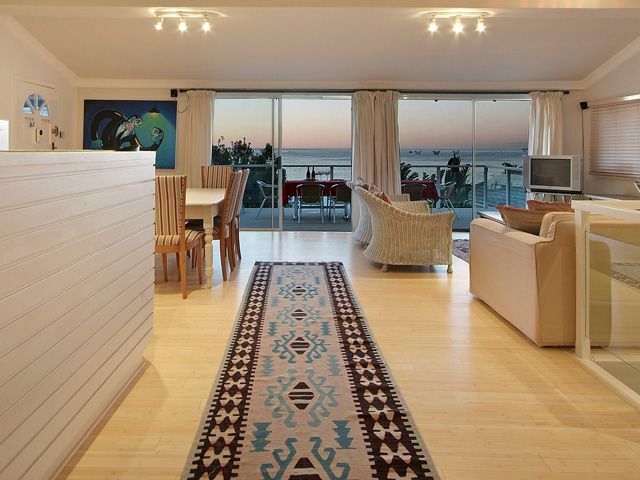 Relax on the double bed and enjoy the view of breakers on the beach through the glass sliding door, or close the blinds for a cool sanctuary from the sun. The master bedroom also has cool pale dcor, a double bed and sliding doors that give access to a lush garden with a gate that leads directly onto the beach. The two sunloungers on the patio provide a place to soak up the sun. The en-suite bathroom boasts a sizeable corner bath, basin and toilet. 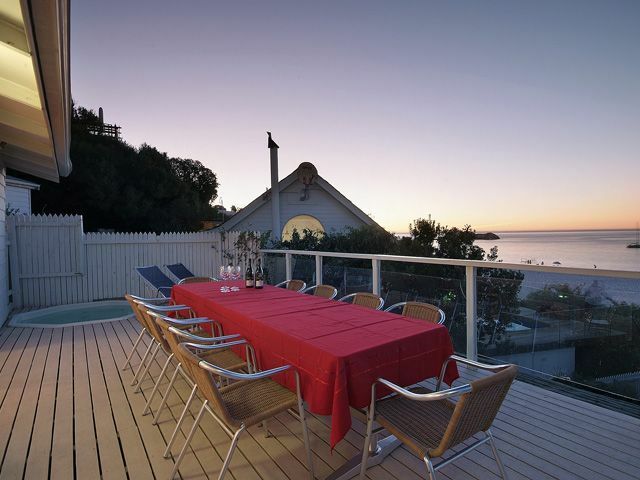 Two sliding doors provide a view of the sand, surf and sea, and lead onto a wooden deck with a table and 10 chairs for alfresco meals with friends or family in the shade of the rustic trellis or the two sun umbrellas provided. 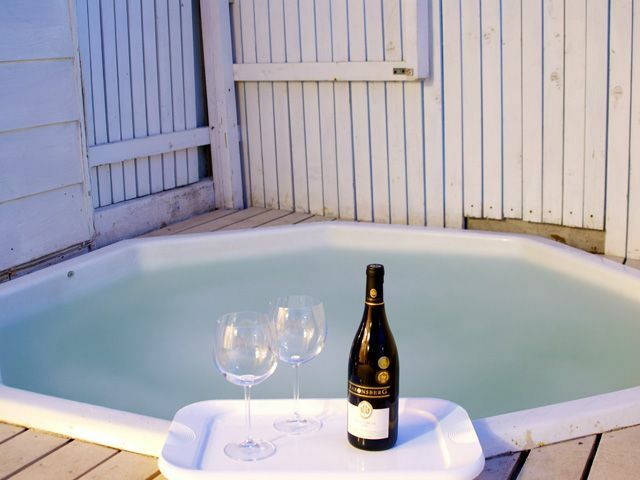 A Jacuzzi allows for spontaneous dips in warm bubbles to go with that bottle of bubbly. The air-conditioned lounge has shabby-chic dcor, sleek pale wooden floors and a comfy cloth sofa plus two chairs on which to watch DStv or a DVD while sipping one of the Capes award-winning wines. The four-seater dining table is the ideal place for a romantic candlelight dinner while admiring one of the Capes stunning sunsets over the sea, or to enjoy a refreshing lunch. The kitchen has all the modern conveniences to make light work of unavoidable chores. It includes a dishwasher, fridge-freezer, microwave and cooker. The tiled guest bathroom off the lounge has a bath, separate toilet and washing machine, and a tiny backyard provides drying space for washing. The cottage has Internet access and an alarm system to ensure the safety of possessions left behind during beach outings or dips in the ocean, and there is a safe for valuables. 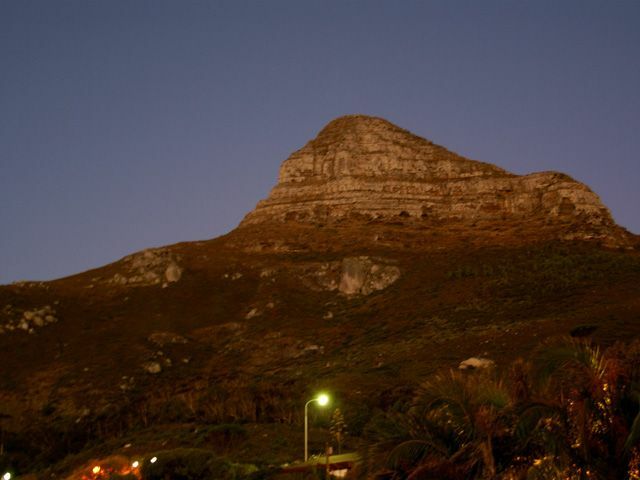 Parking is on-street and the secluded location guarantees a restful holiday on the beach while there is a host of shops, restaurants and entertainment venues just a short drive away in Cape Town or Camps Bay.